AKRON — Today, Monday, Feb.11, Tippecanoe Valley School Corporation welcomed the assignment of School Resource Officer Rick Shepherd as the new SRO in the district. Shepherd is not a stranger to Tippecanoe Valley as he was a graduate of TVHS in 1986. After high school, Shepherd received an associate of applied science degree and played basketball for Joliet Junior College in Illinois. 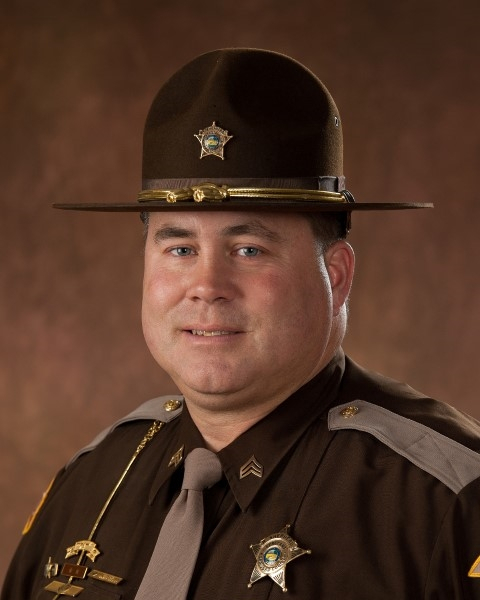 Shepherd joined the Kosciusko County Sheriff’s Department in 2002, working first as a confinement officer in the Kosciusko County Jail. Through his years at the sheriff’s office, he was promoted to the patrol division and to the ranks of corporal, sergeant and lieutenant. Shepherd worked with youth previously as a football coach for 10 years and as a basketball coach for 5 years. He also has worked security at Valley events for the past several years. Shepherd has two grown children — Brenden Barber 27, Columbia City Police Officer; and Cameron Shepherd 24, Whitley County Corrections Officer. On his first morning stationed at Tippecanoe Valley High School, students were already introducing themselves to make him feel welcomed. Shepherd would like the students, staff and parents to know his door is always open and he is excited to work with the Valley families in this capacity. TVSC is grateful for this vital community partnership with the Kosciusko County Sheriff’s Office.